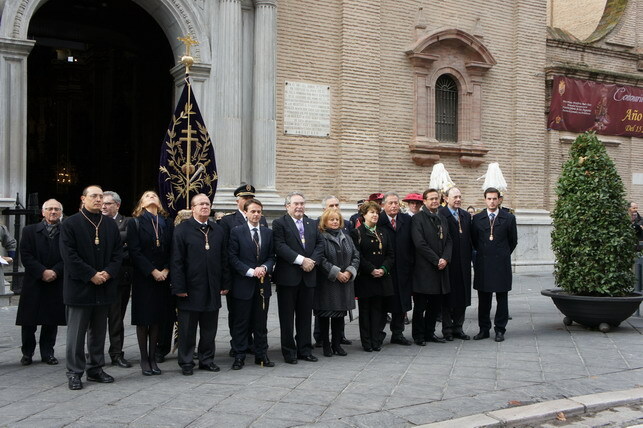 AYER, DÍA 26 DE DICIEMBRE DE 2013, HA TENIDO LUGAR EN LA BASÍLICA DE LA VIRGEN DE LAS ANGUSTIAS LA CELEBRACIÓN DEL VOTO, QUE LA CIUDAD DE GRANADA OFRECE A LA STMA. 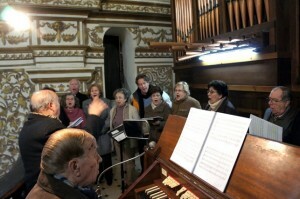 VIRGEN TODOS LOS AÑOS, DESDE 1885, POR HABERLA LIBRADO DE LOS EFECTOS NEFASTOS DE LOS TERREMOTOS DE LOS AÑOS 1884 Y 1956. 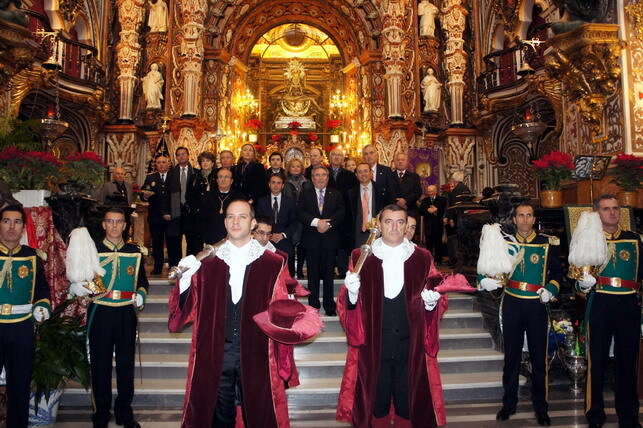 LA CORPORACIÓN MUNICIPAL DE GRANADA, CUSTODIADA POR CUATRO MACEROS Y CUATRO POLICÍAS LOCALES VESTIDOS DE GALA, CON SU TENIENTE DE ALCALDE D. JUAN ANTONIO FUENTES GÁLVEZ AL FRENTE, FUE RECIBIDA EN LA PUERTA DE LA BASÍLICA POR EL HERMANO MAYOR DE LA HERMANDAD SACRAMENTAL DE LA VIRGEN DE LAS ANGUSTIAS, D. FRANCSCO SALAZAR RODRÍGUEZ Y SU JUNTA DE GOBIERNO, PORTANDO EL ESTANDARTE DE LA HERMANDAD D. MANUEL URBANO, SUBPREFECTO DE CULTOS Y CEREMONIAS. 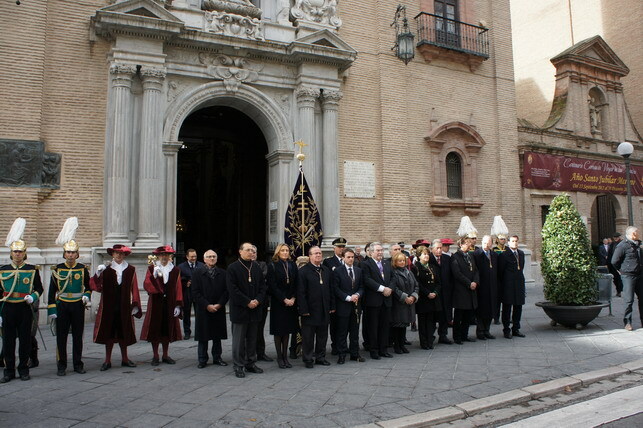 FRENTE A LA PORTADA DE LA BASÍLICA ESTABA SITUADA LA BANDA MUNICIPAL DE GRANADA, QUE INTERPRETÓ, MAGISTRALMENTE LOS TRES HIMNOS OFICIALES: ANDALUCÍA, GRANADA Y EL HIMNO NACIONAL, QUE FUERON SEGUIDOS CON SUMO RESPETO, SILENCIO Y EMOCIÓN TANTO POR LA CORPORACIÓN MUNICIPAL, Y HERMANDAD COMO POR LAS NUMEROSAS PERSONAS QUE SE CONGREGARON ALLÍ. JESÚS HA VENIDO PARA MOSTRAR LA DIGINIDAD DE CADA HOMBRE Y DE CADA MUJER QUE VIENE A ESTE MUNDO Y CON SU ENCARNACIÓN NOS DICE: QUÉ IMPORTANTE ES LA CARNE, LA PERSONA, LA BIOGRAFÍA Y LA HISTORIA DE CADA PERSONA. 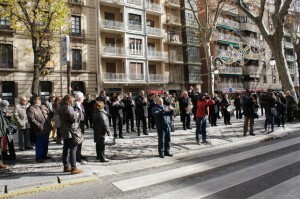 POR ESO, ESTO APLICADO AL SERVICO PÚBLICO QUE EL AYUNTAMIENTO LLEVA A CABO, UN SERVICO CIUDADANO A LOS CIUDADANOS, ES ALGO QUE PUEDE INSPIRAR TODAS LAS ACTIVIDADES QUE SE LLEVAN A CABO, PORQUE ES BUENO DARLE UN ESPÍRITU A TODA NUESTRAZS ACTIVIDAD, EL CUAL LUEGO, EN ACTUACIONES CONCRETAS EN LAS QUE LLEVEMOS A CABO NUESTRAS INSPIRACIONES, TENGAN ESE TRASFONDO PROFUNDO DE QUIEN BUSCA EN EL ALMA PERSONAL Y EN EL ALMA COMÚN LA FUENTE PARA PODER TRABAJAR. 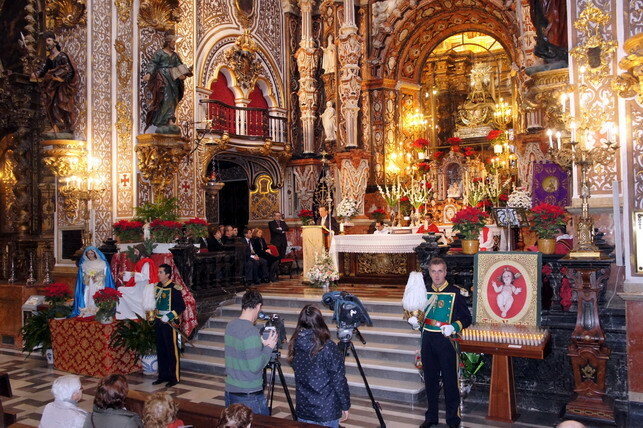 “… PUES QUE LA VIRGEN DE LAS ANGUSTIAS, ELLA QUE CONTEMPLÓ ESTE MISTERIO DE LA ENCARNACIÓN DE JESÚS, QUE CONSERVABA Y GUARDABA TODAS ESTAS COSAS EN EL CORAZÓN, NOS AYUDE A VIVIR ESTOS DÍAS. 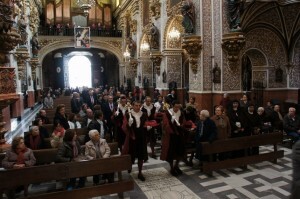 LA EUCARISTÍA ESTUVO SOLEMNIZADA POR LA ACTUACIÓN DE LA “CORAL VIRGEN DE LAS ANGUSTIAS”, DIRIGIDA POR D. CARMELO MARTÍNEZ Y ACOMPAÑADA AL ÓRGANO POR SU TITULAR D. LUIS LINARES, INTERPRETANDO DIVERSAS MELODÍAS POLIFÓNICAS Y POPULARES PARA QUE LOS FIELES ASISTENTES PARTRICIPARAN TAMBIÉN DE LOS CANTOS. 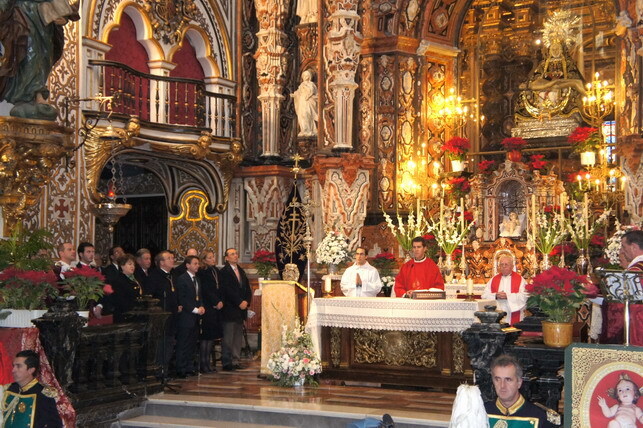 SE TERMINÓ CON EL REZO DE LA ORACIÓN DEL AÑO SANTO JUBILAR Y CON UN CANTO A LA STMA. VIRGEN. LA BASÍLICA ESTUVO CASI LLENA DE FIELES QUE PARTICIPARON EN LA EUCARISTÍA CON GRAN DEVOCIÓN Y RECOGIMIENTO.